Private Client Solicitors: Why you should use LinkedIn? This content was first published in May 2016, as a featured article in PS – The Law Society’s Private Client Section magazine. For more information see here. Image by Renjith Krishnan used courtesy of freedigitalphotos.net. How do you, as a private client solicitor, get business? The solicitors we work with tell us time and again that the majority of their clients come from personal recommendation or referral, and that building and deepening relationships with both clients and referrers is essential for preventing the pipeline from drying up. If this rings true for you, then LinkedIn could be a powerful, online tool for supporting what you have always done to get business – networking – but in a more time-efficient manner. LinkedIn is the world’s largest, online, professional, business-to-business networking platform, dedicated to helping professionals build productive relationships with one another. LinkedIn currently has more than 400 million members worldwide, with UK membership tipping 20 million. LinkedIn is not an online recruitment site. Nor is it a way to sell things. However, you may find a job through LinkedIn, and, by developing key businesses relationships with the support of LinkedIn, you may well gain more clients. A polished, well-written and comprehensive LinkedIn profile (with a professional headshot) can help private client practitioners stand out from the crowd online. Further, because LinkedIn is all about connecting with other professionals and building relationships, not only can it help you attract more of your ideal clients and referrers, but it can also help you keep them. Is LinkedIn really worth your time? To answer this, we suggest you ask yourself the following two questions. 1. Where are my prospective clients and/or strategic referrers likely to be? As LinkedIn is designed to connect you with business professionals rather than directly with consumers, it will definitely help you build relationships with IFAs, accountants, wealth managers, estate agents and other solicitors who don’t offer private client services – all of whom are most certainly using LinkedIn to grow their business networks. And of course, as lives progress, all your business professional connections will also become potential clients at some point or other. 2. Is a LinkedIn profile going to help attract new clients? According to research in the US by BTI consulting, the first way clients search for a lawyer is, unsurprisingly, via peer-to-peer referral. However, a close second is finding a service provider via an online search and, most importantly, researchers found these two methods are now interdependent. So, when your prospect receives recommendations for the best solicitor to handle their mother’s probate, they will invariably look up the referrals online before deciding who to approach. If your prospect Googles your name, not only will your website come up on page one of the search results, but so will your LinkedIn profile. As you cannot control where your prospect will click, they may well visit your profile in addition to or instead of your website. What will they find? If you aren’t on LinkedIn at all, then you’re losing out on being able to fully demonstrate all your hard-won expertise and training, as well as possibly some influential, personal recommendations that might otherwise seal the deal. If you have a LinkedIn profile and it lets you down because it’s either partially filled out, out of date or badly written, your prospects may bounce off your profile and on to your competitor’s without a second thought. If you have no interest in developing your LinkedIn profile so that it positions you well, then we would recommend closing your account. Not having a LinkedIn profile is better than having one that makes you look unprofessional, unconnected and uninterested. 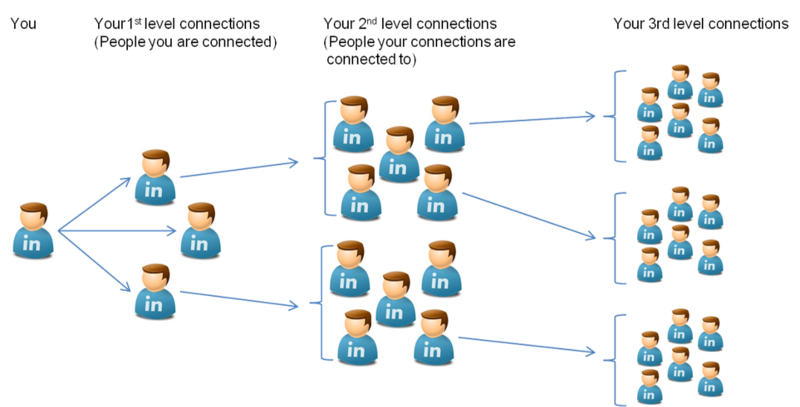 Fundamental to appreciating the real power of LinkedIn is to understand the concept of your LinkedIn network. On LinkedIn, people in your network are called ‘connections’. Your network is made up of your first-degree, second-degree, third-degree connections and fellow members of your LinkedIn groups. Your first-degree connections are people you’re directly connected to because you’ve accepted their invitation to connect, or they’ve accepted yours. Your second-degree connections are people who are connected to your first-degree connections (but not to you). Your third degree connections are people who are connected to your second-degree connections (but again, not to you). Since you could ask for an introduction via your first-degree connections, second-degree connections offer the most potential for new business. The diagram below illustrates how it works. So your LinkedIn network can bring your potential client or referrer to your door. Your LinkedIn profile is your opportunity to then make a case for them choosing you over your competitors. Having a polished LinkedIn profile will increase your visibility and raise your credibility to prospects searching for you on Google or LinkedIn. If you’re new to LinkedIn, follow the simple steps below, to set up your LinkedIn account. Go to the LinkedIn website (www.linkedin.com) and click on ‘Join today’ at the top of the page. To create your Login details, you’ll need an email address and a password that’s not too simple for hackers to guess. Make sure to record or remember these login details – especially the email address you used. While you can opt to set up a new password if you can’t remember the original one, a forgotten email address is much more complicated to sort out. Once you’ve clicked on ‘Join Now’ the next screen will ask for your country and post code. Use your office rather than home post code (unless you have a home office). When prospects search for a lawyer based on their location, your name will appear within relevant search results. In the next screen, add your job title and firm’s name. If your firm already has a LinkedIn company page, it will appear in the drop down menu as you type. Click on your firm’s name, so that the logo will also appear on your profile. If your firm does not have a company page or logo, just type in the firm’s name. You will also need to select the industry – either Law Firm or Legal Services (choose the most appropriate) and then click ‘Create your profile’. LinkedIn will now prompt you to select from a list of reasons for using LinkedIn. 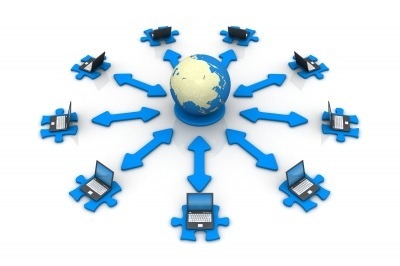 We generally advise clients to select ‘building your network’. LinkedIn will now prompt you to import all your email contacts, but we recommend waiting until your profile is complete and business contacts will see a LinkedIn profile that really does you justice. It’s also all too easy at this stage to accidentally invite all your email contacts – including grandmothers and ex-spouses – and once this process has started, you cannot stop it! To avoid this, click on ‘Skip’ (on the right-hand side). LinkedIn will now offer you another chance to import your email contacts, but resist the urge again and click ‘Skip’. LinkedIn will now ask you to verify the email address that you used to set up your account by clicking a verification link that should by now have arrived in your email inbox. If you don’t do this, you’ll find yourself struggling to connect, accept invitations and more. So check your inbox (or spam / junk mail) for an email from LinkedIn and ‘verify your email address’ now. Once you’ve verified your email address, LinkedIn will give you three more opportunities to either import your email contacts or connect with people you may know. Again, we strongly suggest that you move swiftly to ‘Skip’ every time. LinkedIn is very good at suggesting people for you to connect with, so you’ll have ample opportunity to do so once your profile is ready to unveil to the world. Next LinkedIn will suggest various topics for you to follow via its huge news platform, ‘Pulse’. Select by clicking on the ‘+’ symbol. Articles from selected topics will appear on your LinkedIn homepage for you to read. You can also ‘Skip’ this step. Next, you’ll be encouraged to download the LinkedIn app onto your phone. We suggest you ‘Skip’ this process for now and finish setting up your new account. We would recommend downloading the app at some point though, so that you can connect with new business contacts, accept invitations, check your LinkedIn emails and so on whilst on the go. LinkedIn will try again to get you to connect with people you may know. Stay strong – remember you can do this when your profile is complete – and hit ‘Skip’. If you’ve followed the steps above, you are now the proud owner of a LinkedIn account! Hover your cursor over ‘Profile’ (top left-hand side of the menu bar) and then click on ‘Edit Profile’ and you’re ready to start developing your LinkedIn profile. Good Luck! If you would like help in developing a LinkedIn profile that really represents you well or you want to use LinkedIn to support your business development initiatives please get in touch.